Last week, Allahabad High Court had directed the Govt. to include a divorced daughter within the definition of family, for the purpose of compassionate appointments in the event of death of a government employee while on duty. 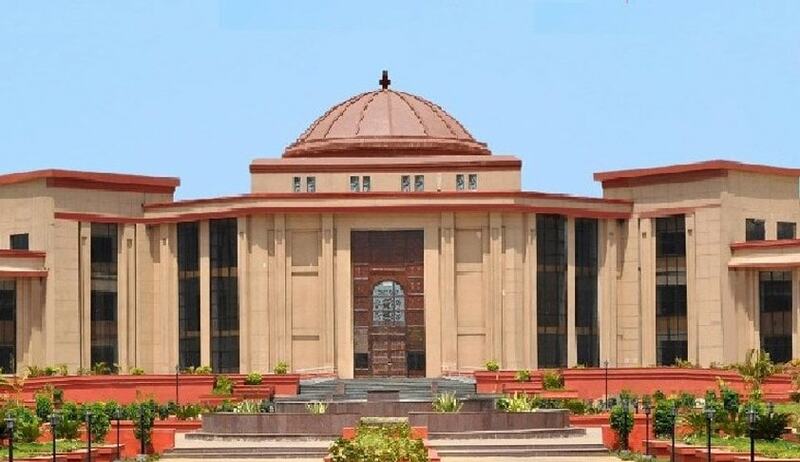 The Chhattisgarh High Court has held that the policy of the State Government barring and prohibiting the consideration of the married daughter from seeking compassionate appointment merely on the ground of marriage is plainly arbitrary and violative of Article 14, 15 and 16(2) of the Constitution of India. Allowing the Writ petition moved by a married daughter of a deceased, the Court directed Government to reconsider the claim of petitioner for being appointed on compassionate ground afresh Justice Sanjay K. Agrawal said that a policy of the State Government disqualifying, a married daughter and excluding her from consideration apart from being arbitrary and discriminating is retrograde step of State Government as welfare State. In this case, application seeking appointment on compassionate ground, preferred by the one Sarojni Bhoi whose father was working in the Department of Water Resources, was rejected relying upon Clause 3(1)(c) of policy, holding that the married daughter is not eligible to be appointed on compassionate ground as the aforesaid clause provides that only unmarried daughter is entitled to be considered for compassionate appointment. The court said that object of granting compassionate appointment to enable the dependent(s) of deceased’s family to earn bread and butter for the family and to come out from financial crisis, who suffers on account of unexpected and untimely death of deceased/Government servant and the criteria to grant compassionate appointment should be dependency rather than marriage. “In a given case, a married daughter might be deserted wife, might have been abandoned wife, fully dependent upon her father, she might have been married to an indigent husband so that both the married daughter and son-in-law could have been dependent of the bread winner whose death left them to extreme financial hardship. There might be many other probability in which married daughter might be fully dependent upon the income of her father so that the death of the father to leave her and rest of the family members in extreme financial hardship, therefore, the yardstick for extending the benefit of compassionate appointment should be dependency of the dependents on the deceased Government Servant and their marital status of dependent should not be impediment for his/her consideration on compassionate ground to wipe-out leaves from the eyes of the suffering family on account of loss of earning member in the family”, the court said. Daughter is a Daughter even after marriage. The Court observed that policy of State Government that unmarried daughter(s) is/are entitled to be considered for compassionate appointment is based on the ground that on marriage she becomes a member of her husband's family and ceased to be member of her father's family. A daughter even after marriage remains the daughter of her father and she cannot be treated as not belonging to her father's family, the court said. The court added that institution of marriage is an important and basic civil right of man and woman and marriage by itself is not a disqualification so as to exclude a daughter from getting compassionate appointment. Last week, Allahabad High Court had directed the U.P Government to take necessary steps with regard to the Uttar Pradesh Recruitment of Dependents of Government Servants (Dying-in-Harness) Rules, 1974 which do not include a divorced daughter within the definition of family, for the purpose of compassionate appointments in the event of death of a government employee while on duty.